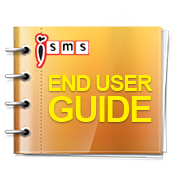 iSMS Malaysia - Online SMS Marketing End User Guide CSV Compose SMS. Lowest price & most reliable Bulk SMS marketing tool. 2 way sms Malaysia, Bulk SMS, bulk sms Malaysia, bulk sms Singapore, online sms solution, web sms marketing. Step 1 : Go to the "SMS" tab menu and select "Compose SMS". Step 2 : At Compose Menu tabs, select "CSV Compose". Upload CSV File - Select and Upload CSV files to send. Duplicate No. 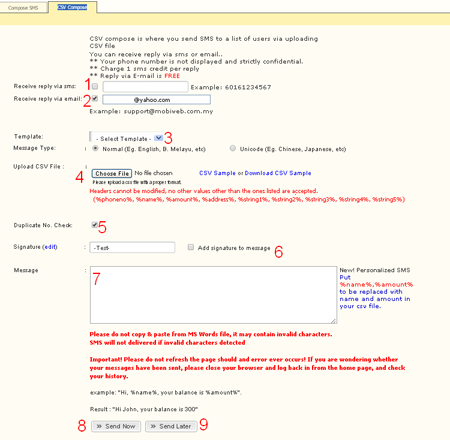 Check - Option to remove duplicate phone number in CSV Files.